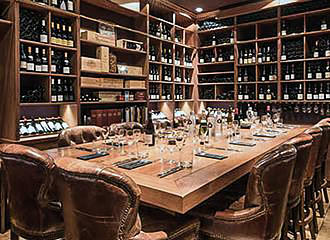 The O Chateau is a wine tasting venue in Paris as well as a wine bar and a restaurant and was the first wine bar in Paris to receive the Wine Spectator Award of Excellence, and with over 500 different wines and experienced sommeliers who speak English, the wine tasting events are not to be missed. You will find the O Chateau provides most of its wine tasting events within an authentic setting in a historical 17th century mansion house within a cozy wine cellar atmosphere with traditional stone walls and vaulted ceilings, but still with some modern touches including air conditioning, free WiFi, a Bose sound system, projector etc, to make your visit more comfortable. There are numerous different events at O Chateau for wine tasting in Paris depending upon your budget and tastes, and the first is known as An Introduction to Wine tasting where you experience three different wines over the course of 1 hour for a cost of only €30 as of 2014. 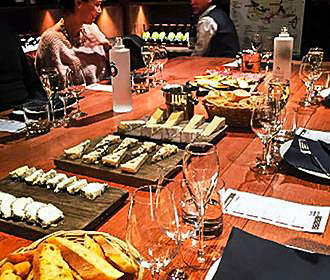 Off The Beaten Track is a wine tasting event with 6 different unusual wines served and discussed by an English speaking competent sommelier, and lasting 2 hours, this is €59. However, for only €75 you could opt for the Wine and Cheese Lunch, which lasts 1.5 hours and you can experience a Champagne plus four wines accompanied by a cheese and charcuterie selection. 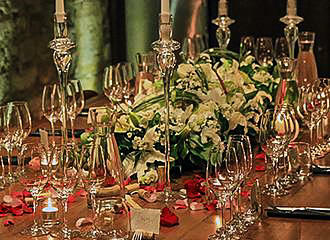 Another option at the O Chateau is a Wine tasting Dinner where you will enjoy three good wines, one champagne, a digestif and a three course meal, plus bread basket, with the bread coming from the same baker that the French president uses. And lasting approximately two hours with any questions you have answered plus a list of the wines with a cheat sheet as the company calls it, which is handed out at the end of the event, this is only €99 as of 2014. Yet for something completely different, how about enjoying a one hour River Seine Cruise in a private room at the front of the boat, where you will enjoy tasting three different styles of Champagne from different wineries and learn more about these as you cruise by many of the landmarks and monuments in Paris. 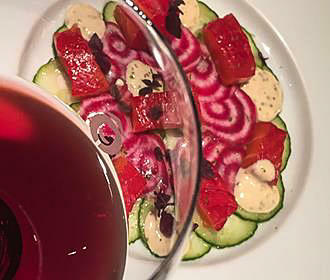 And all this for only €55, but you could opt for a Wine and Cheese Lunch plus a Champagne sipping cruise for only €120. However, the ultimate treat with O Chateau is a Day Trip to the Champagne region, where you get picked up from your accommodation and travel by an air conditioned minibus to three different Champagne houses and enjoy lunch with champagne tasting accompanied by an English speaking guide before returning and being dropped back off at your hotel or apartment. This option is a cost of €215, however, you could also opt for the Day Trip and the Champagne Cruise for €250 as of 2014, but spaces for this are very limited as it is only a small group of a maximum of eight people per trip. It is not necessary to book in advance, but it most definitely recommended, as many of the tastings and events do sell out, yet last minute bookings are also accepted if there are spaces available. However, you will be pleased to know that even if you have booked in advance, yet your plans change and you need to change your reservation to another date, then this is possible and free to do by contacting O Chateau to rearrange this. We would like to point out that young children are not allowed, purely so that the parents as well as other people in the group can enjoy the tasting event to its utmost, however, children can wait in an area that is supervised. Teenagers are allowed and can also enjoy the tastings if the parents agree, yet they are charged at the same cost as an adult. But you may be pleased to know that the wine tasting events are with an experienced sommelier who will discuss the different selections for that week, and all events are conducted in the English language. And yes, if you were to go back another week, you have an entirely different selection! When it comes to reaching the O Chateau, the nearest Metro stations are the Louvre - Rivoli stop via line 1 or the Etienne Marcel stop via line 4. But if you are travelling on the RER trains, you would need the Les Halles stop via lines A or B, which is in fact only one stop from the Gare du Nord train station where the Eurostar arrives.